When AB William Dearl Trickett was just a face. 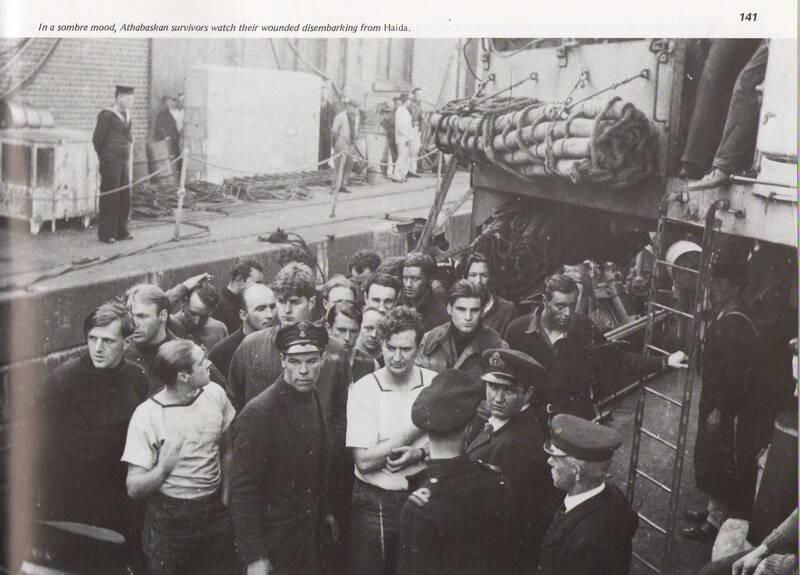 Sixty-four men of the Canadian navy, all but one of whom were captured when the Canadian destroyer Athabaskan was sunk in the England Channel in April, 1944, arrived here Monday en route back to Canada with varied tales of life in Germans prison camps. The other man—AB. Sydney Bell, of Britannia Bay, Ont., was taken prisoner March 25, 1941, when a Royal Navy ship was sunk by a German surface raider 480 miles off Freetown, West Africa. The men crossed the Atlantic in the liner Aquitania. The party left for Montreal by train Monday night, where they will receive a medical examination and back pay before proceeding to their homes on leave. This was given to Jim L’Esperance by the Red Cross. There was a letter sent with the Wartime Log. Life was very harsh for POWs in Marlag und Milag Nord. Food was scarce as well as heating. Jim L’Esperance survived the sinking of HMCS Athabaskan. He came close to being rescued by HMCS Haida. 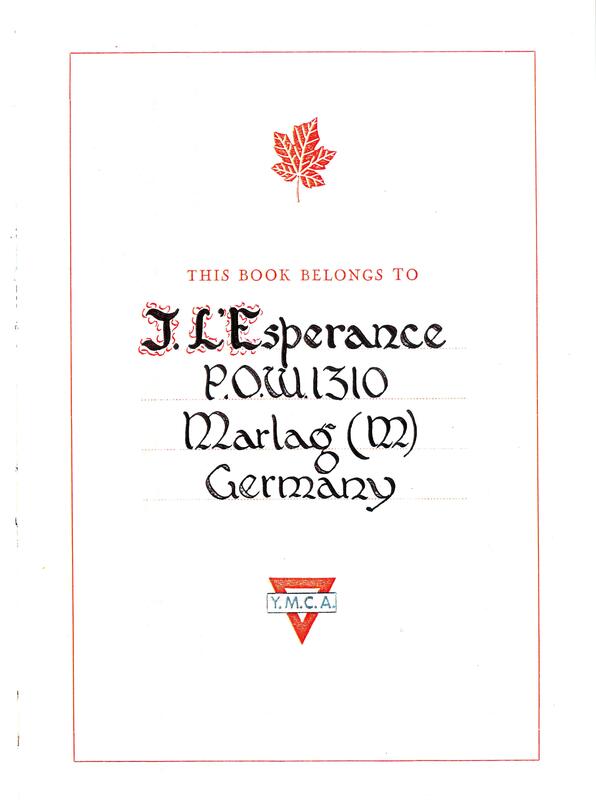 Jim L’Esperance used his Wartime Log to document his stay at Marlag und Milag Nord. You can watch videos made in 1945 when the prisoners were liberated from the prison camp. 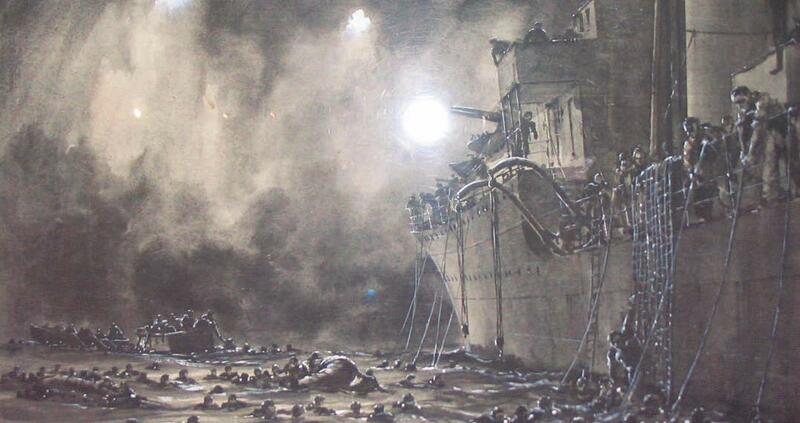 Every Monday I will post what Jim L’Esperance pasted in his Wartime Log leading us to April 29, 2014, 70 years after the sinking of HMCS Athabaskan. Here is a preview of what I will post.